Let your personality shine in every note you write with personalized note pads. 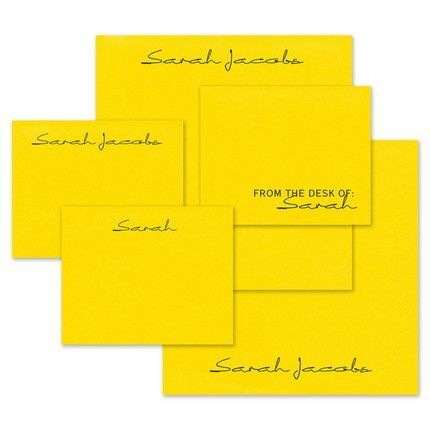 This yellow set includes five 100-sheet pads, two measuring 5.5" x 5.5" and three measuring 3.625" x 3". Complete the look by adding your name in your choice of typestyle.